On Tuesday, the National Christian College Athletic Association national office in Greenville, S.C. announced the Student-Athlete of the Week recipients and nominees from last week. 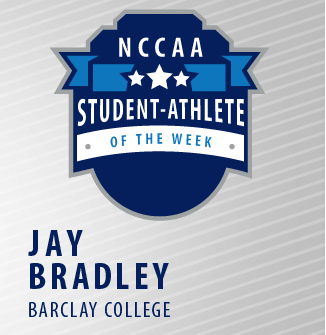 Each student-athlete is nominated by his/her respective institution and exemplifies the Christian ideals held by the NCCAA and Barclay College’s Jay Bradley was the NCCAA Division II winner. 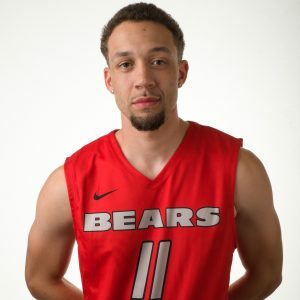 Bradley was instrumental in the Bears’ 2-1 week as he averaged 24 points, 7.3 rebounds, and 3.3 assists per game. The senior from Wichita, Kans. helped the Bears give #2 ranked Manhattan Christian College (Manhattan, Kans.) a scare with his 17 points and 8 rebounds, but the Bears would fall short 109-94. Bradley then led Barclay College to two Midwest Christian College Conference victories as he had 28 points and 6 rebounds in a 98-77 win over Calvary University (Belton, Mo. ), then 27 points and 8 rebounds in a 113-96 win over Ozark Christian College (Joplin, Mo.). The NCCAA write-up can be found at http://www.thenccaa.org/awards.aspx?aow=1755&path=mbball2.